Spring is in full bloom here in Charlotte. The mid 70 degree weather, longer days, and the spring showers are all here. In honor of Spring, I decided to eat dirt. My first experience eating dirt came when I was in Kindergarten. One of my classmates was turning five so his mom brought in a big bucket of dirt complete with worms! Gummy worms that is. I am sure you probably have realized that I am not talking about the dirt you find outside, but more of the dessert kind involving chocolate pudding or ice cream, or whipped cream, or a mixture of all three. This delicious dessert is then topped with crushed Oreo cookies and gummy worms! I made this with a chocolate pudding I found on Epicurious.com, but you can use your favorite type of chocolate pudding. This was my first time making chocolate pudding ( I have made pudding for banana pudding countless times). Like macaroni and cheese, home made is far superior to the boxed kind. I will definitely be experimenting more with pudding as the year goes on. This dessert is perfect for eating outside while taking time to stop and smell the roses and watch dogs play. 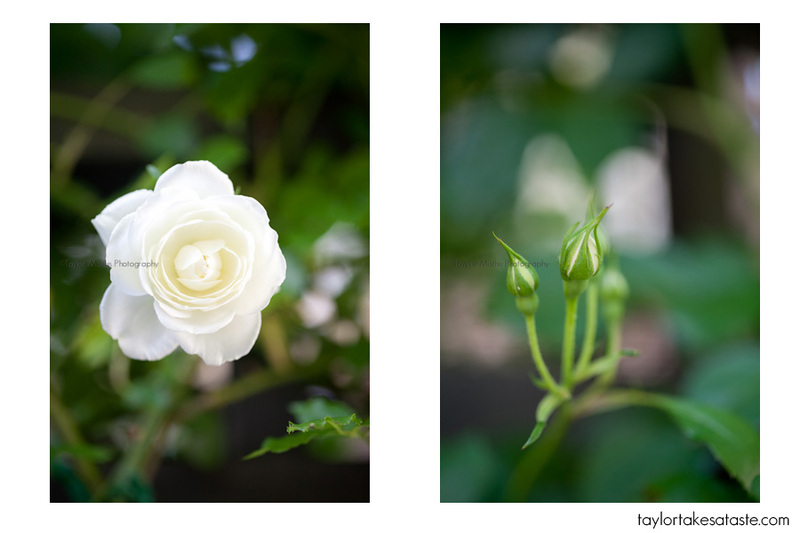 That being said, here are some pictures of the roses in my Mom’s yard. And no, I am not hand modeling for this. I conned my friend Mary Mitchell to model these and in return she kept the roses. 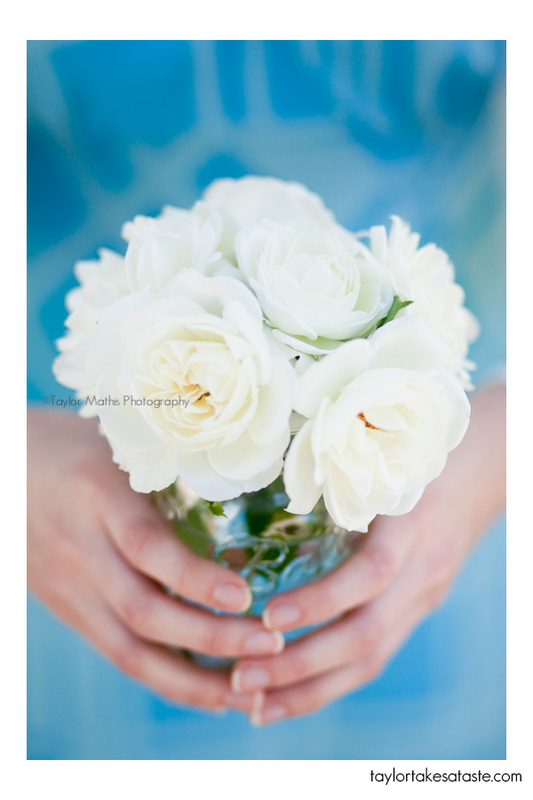 Yes I, I pay my hand models in food or flowers. 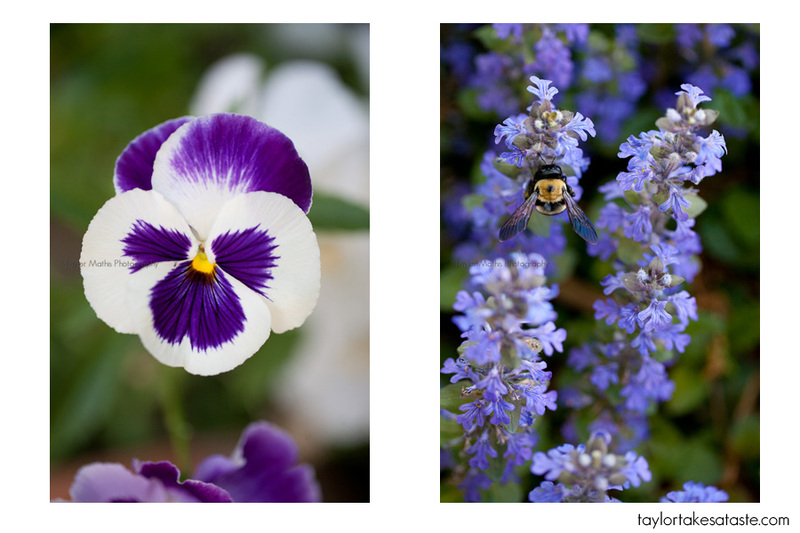 Here are some other flowers around the yard. and now for the dynamic duo of Oscar and Murphy! The wiener dogs! 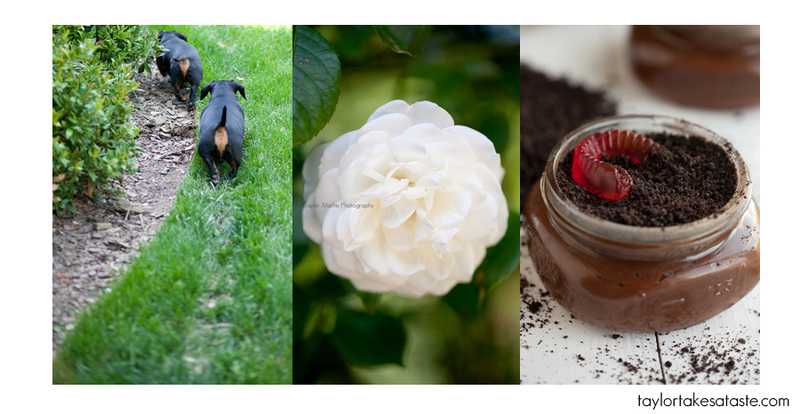 I have a feeling you will be seeing more dirt, dogs and roses as spring turns into summer! Enjoy Spring! P.S. Love that you capitalize Mom. I do too! Beautiful pictures as always – and love the doxins!!! Love all the photos. I’ve never seen Dirt & Worms look so sophisticated! And you have lucky hand models… quite the payment! Thanks Kristen! So far my friends haven’t complained too much about modeling, I think flowers and chocolate help. OMG! I think we are destined to be friends. Last night I spent two hours planting my garden while my two long-haired dachshunds proceeded to dig and eat copious amounts of dirt. I think it’s got to be fate, right? PS I really love the tutorials you’ve given for taking pictures of food, especially at night. Thank you! I think we are! 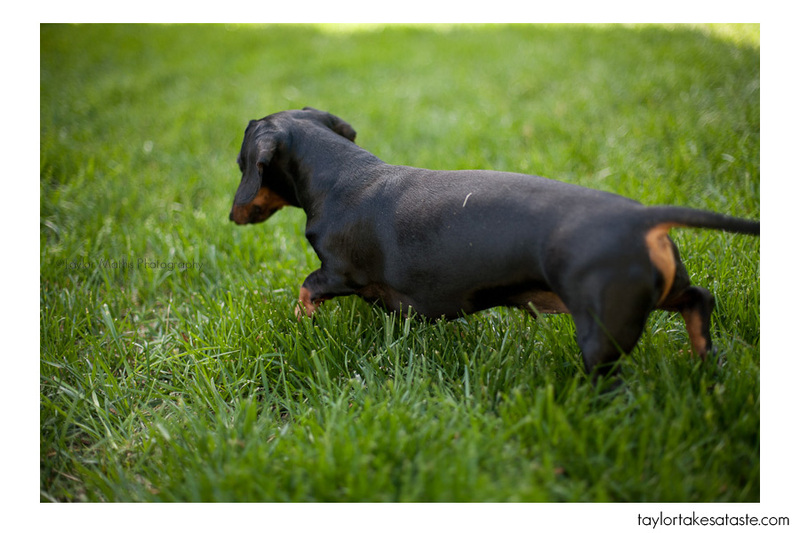 Dachshunds love to dig in the dirt! Glad you have found the food photo tips helpful! I also accept payment of the beverage sort;) Fabulous post as always! So proud of you T! 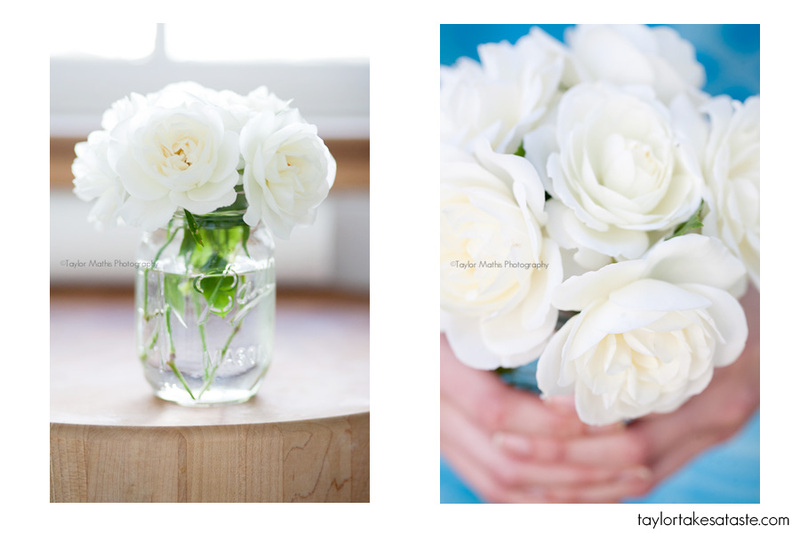 I am so envious of your Mom’s roses! I used to live down south and grow beautiful roses, now I live in the Arctic, no just kidding, Wyoming and no roses for me! 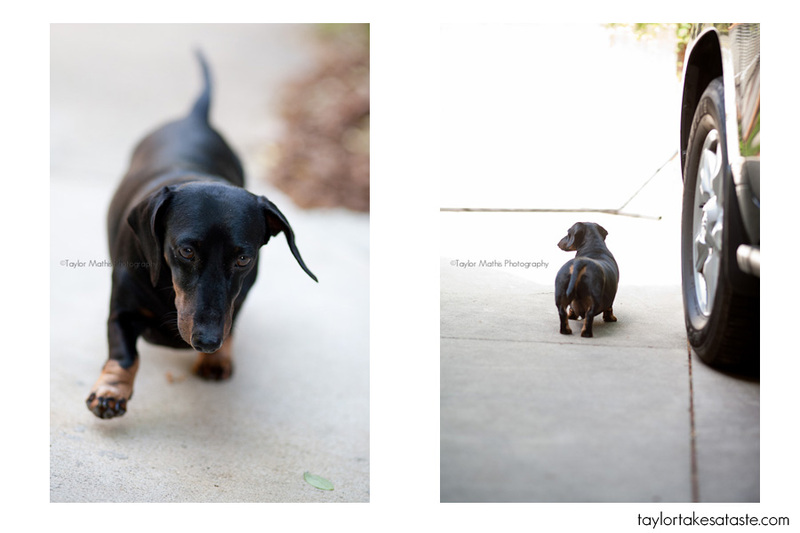 Also love the dogs, I have a long haired wienie dog named Coco. Oh and homemade chocolate pudding is the best. 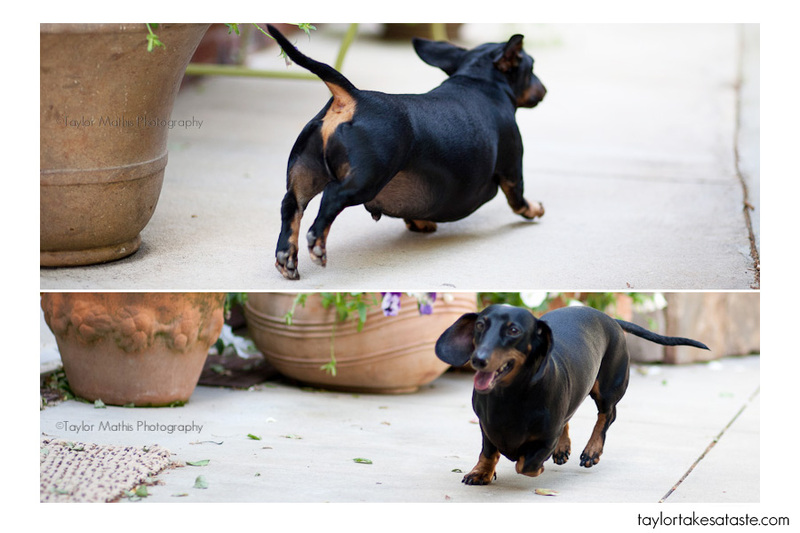 Aw long haired wiener dogs are adorable! Wyoming might not have roses but you have breathtaking scenery! great photography as usual, dude! 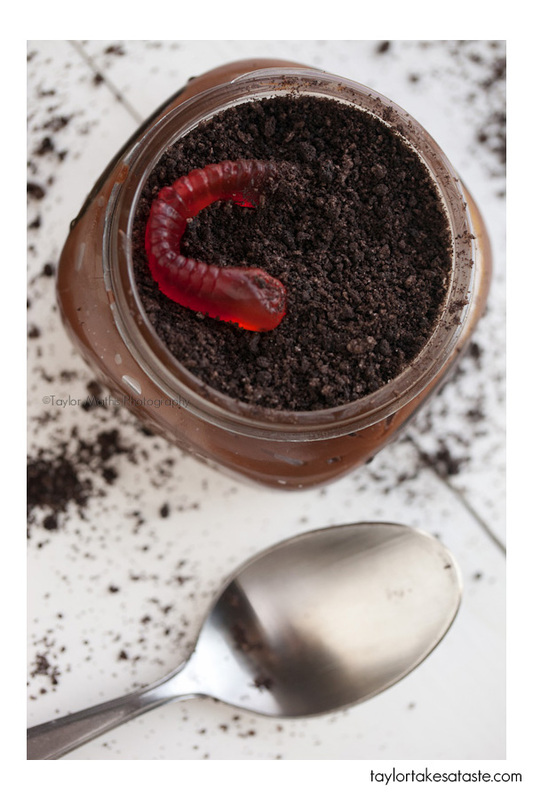 I love worms and dirt! That dessert brings back some memories. Beautiful photos as always! Thanks Allison! It is one of those desserts I feel everyone has fond memories of. Lovely. My god-daughter was just asking me to make “dirt”. Now I will have to make it. Love the pics! May I reference your website on Slate’s website/blog? So proud of you!!! Thanks! Sure would love for you to! I discovered your blog through Tastespotting a few days ago, and I think it’s safe to say that I am OBSESSED! Your photography, food, and stories are so great! Thanks Tazeen! I am so glad that you have enjoyed reading my blog! Thank you for the comment!